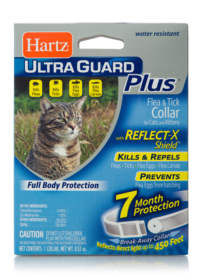 Hartz UltraGuard Ear Mite Treatment for Cats offers relief for cats suffering from ear mites. 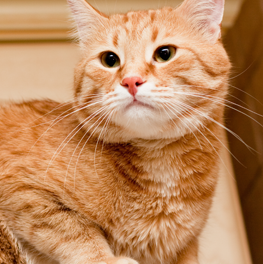 Cats that have ear mites will typically shake their head and scratch their ears frequently. 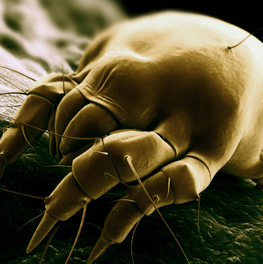 Ear mites live in the ear canal of the animal and cause a brownish, waxy debris. 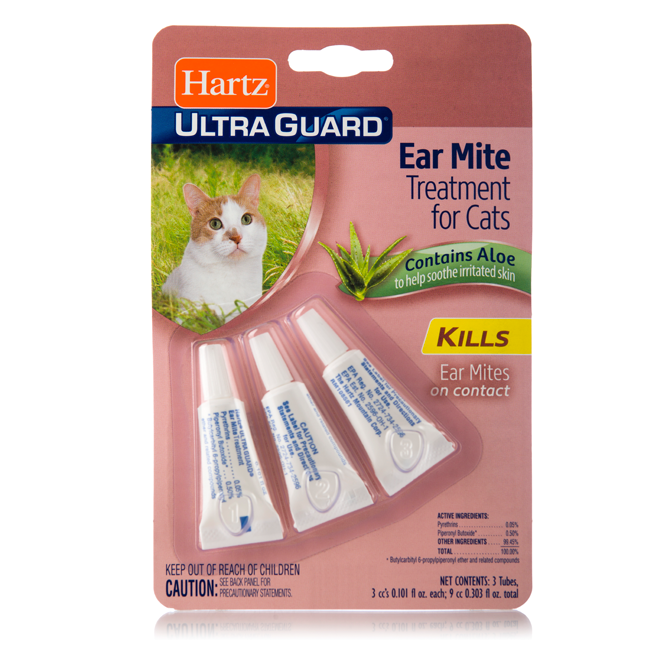 Ear mites may be detected by placing some of the waxy debris on a dark surface and carefully watching for the movement of tiny white specks away from the debris. 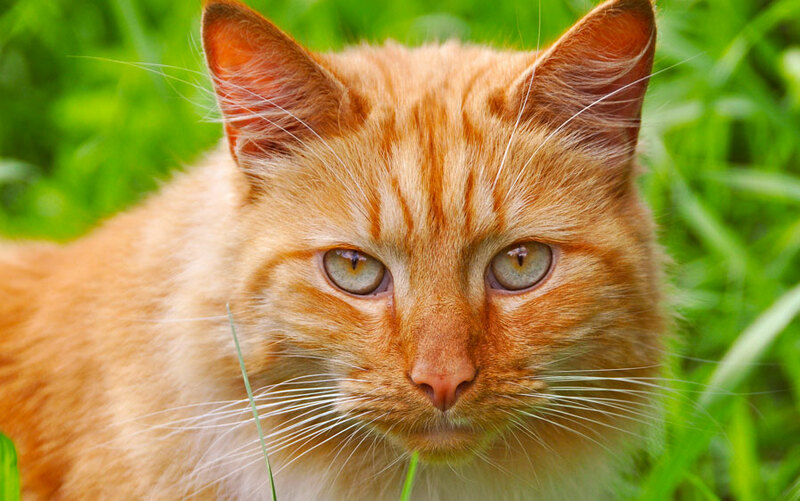 Inflamed, watery or blocked ear canals indicate a more serious condition which requires the service of a veterinarian. Pull off cap. Turn the cap around and place on top of tube. 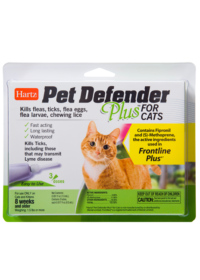 If conditions for which this preparation is used persist or if an irritation develops, discontinue use and consult a veterinarian. 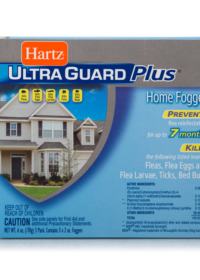 This product may be applied daily for 7 to 10 days. Repeat treatment in two weeks if necessary. Not for use on kittens less than 12 weeks old. 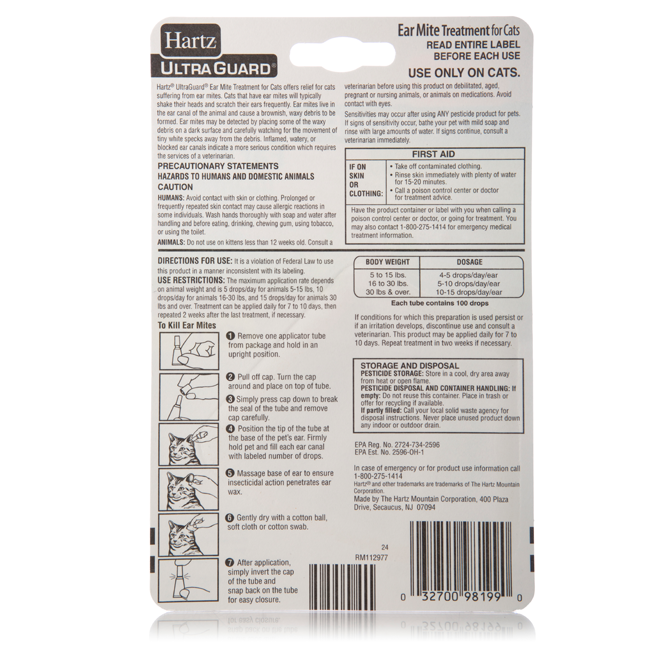 Consult a veterinarian before using this product in debilitated, aged, pregnant or nursing animals, or animals on medication. Avoid contact with eyes. Training can be as simple as making inappropriate behavior unpleasant and appropriate behavior fun. 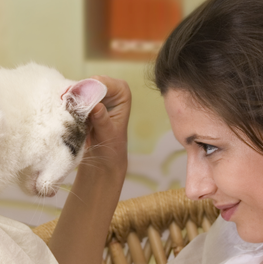 Itchy ears can be a problem for some cats and ear mites could be the cause. Here are some facts that will help you understand what this parasite is all about.